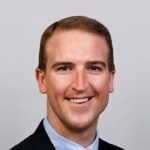 As a partner at EY, Zach is a dedicated strategist, transaction advisor and valuation specialist in the real estate industry. He has over 14 years of experience serving international banks, private equity firms and commercial real estate owners/operators. Specifically, he assists companies of all sizes in their acquisition, disposition, and capital requirements with real estate. More recently, Zach helps clients raise or structure necessary capital to buy, refinance or develop their portfolios of real estate. He also assists institutional investors of real estate place capital into real asset investment opportunities. Recently, he has sourced capital for real estate funds, joint ventures, and major mixed-use developments. Zach’s work experience at EY has taken him from the Phoenix, Arizona office, to New York City and am now based in Toronto for the past five years. He holds an Honours Bachelor of Business Administration from The University of Arizona, Eller School of Management and an Executive Masters in Business Administration from Columbia University with Honours.